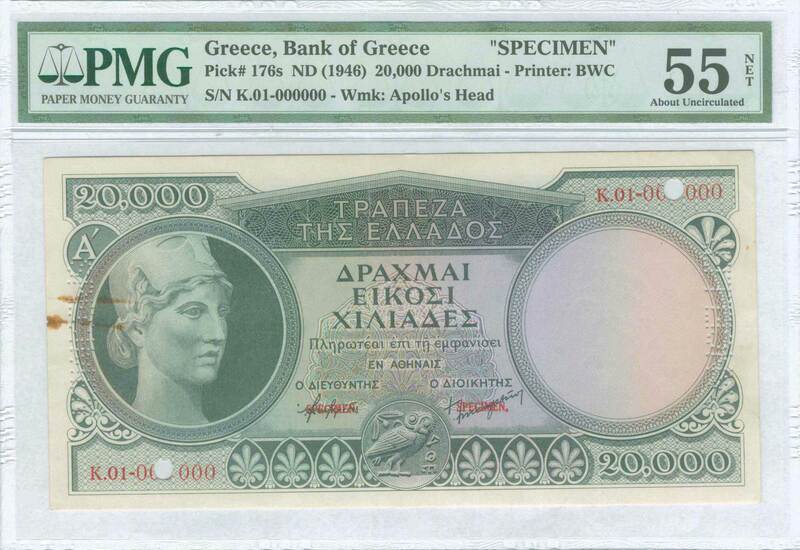 20000 drx (ND 1946) in dark green (A Issue / Large format) with "Athena" at left. Serial no "K.01-000000". Two red ovpt "SPECIMEN" on signatures, two cancellation holes on serial numbers and two perfins "CANCELLED" & "SPECIMEN". Printed by BWC (Without imprint). 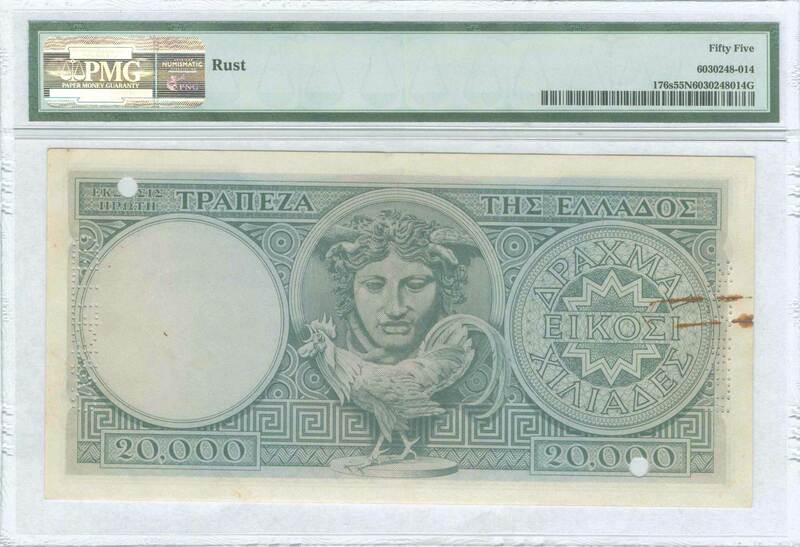 Inside plastic folder by PMG "About Uncirculated 55 - NET - Rust - SPECIMEN". (Pick 176s). Extremely Rare!